Read our first ever Aquinas Center newsletter to hear about all the good things that are happening in South Philadelphia! Click here: Spring 2014 newsletter. 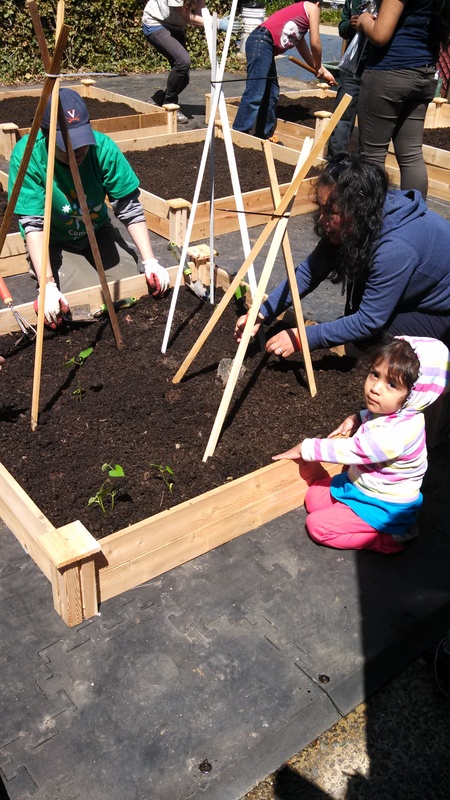 The newsletter includes a feature story called “Growing Our Future” that describes how a grant from Nutritional Development Services for $5,000 is helping to launch our Multicultural Community Garden project. This is an exciting opportunity to not only offer children and youth a place for hands-on, interdisciplinary learning, but also to serve as a vehicle to engage their parents and relatives in the powerful cycle from planting to harvest. When asked about the possibility of a garden as a classroom, the English language learning students at the St. Thomas Aquinas Mission School responded with such enthusiasm! They wrote the following for their teacher Mrs. Dugdale-Garcia: I can plant flowers; My mom and dad can help plant our garden! ; We would like to build a community garden because to make us vegetables to eat and oxygen.